Easter is just around the corner and I don’t know about you, but I am excited to stuff my face full with delicious chocolate eggs. 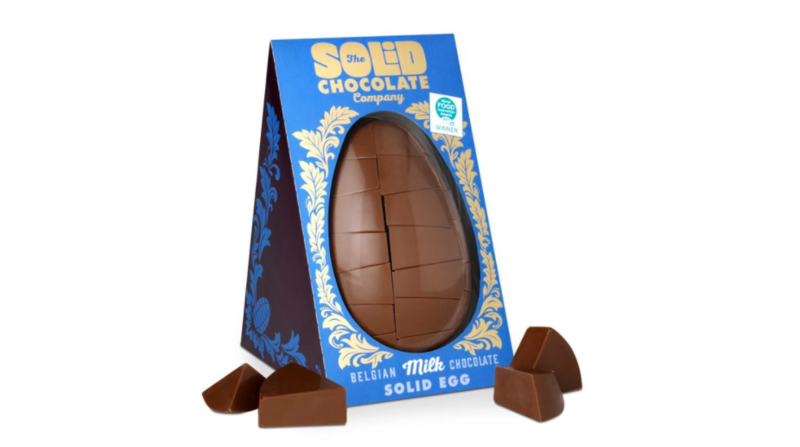 And because this is 2018, Easter eggs are bigger and better than ever before with The Solid Chocolate Company releasing the ultimate one. The chocolatiers claim to have made the world’s first ever solid chocolate egg which is made up of 42 separate solid pieces of yummy 34 per cent cocoa Belgian chocolate. With each egg weighing a total of 750 grams, that is a lot of chocolate to demolish on Easter Sunday. And best of all it is available in five luxurious flavours; Caramel Milk, Dark, White, Milk and Columbian. After selling out last year this product is sure to be a success once again so you best be quick buying one. You can order an egg online for £24.99 which may sound like a lot of money, but you get a lot of chocolate for your pounds. Remember when you were a child and the excitement of being given an Easter egg? Do you also remember the disappointment of opening all that packaging and breaking the egg only to find that its it was hollow? We decided to do something about it, so we set about designing a solid chocolate Easter egg. It’s not rocket science to just put two solid halves together, but that wasn’t good enough for us. We wanted to have an egg made of solid, bite-sized pieces that fit together to make a solid egg. And guess what… we did it! But we didn’t stop there. Many Easter eggs are made from poor quality, super sweet chocolate, so we decided to go for quality, Belgian chocolate to make eating our eggs a truly luxurious experience. If you are on a budget this Easter but still in need of an egg, Morrisons are selling an ace Game of Thrones inspired one perfect for any fan. Called the ultimate ‘Dragon Egg’, this Easter treat is made from rich Belgian milk chocolate and is finished with a dusting of ruby red and gold lustre. Exclusive to Morrisons, the egg is available in all 430 of their stores across the UK. You will have to fork out £6 to get your hands on one but we reckon it will be totally worth it. And if that doesn’t take your fancy Tesco have released a Gin and Elderflower Easter egg which sounds bizarre but delicious. 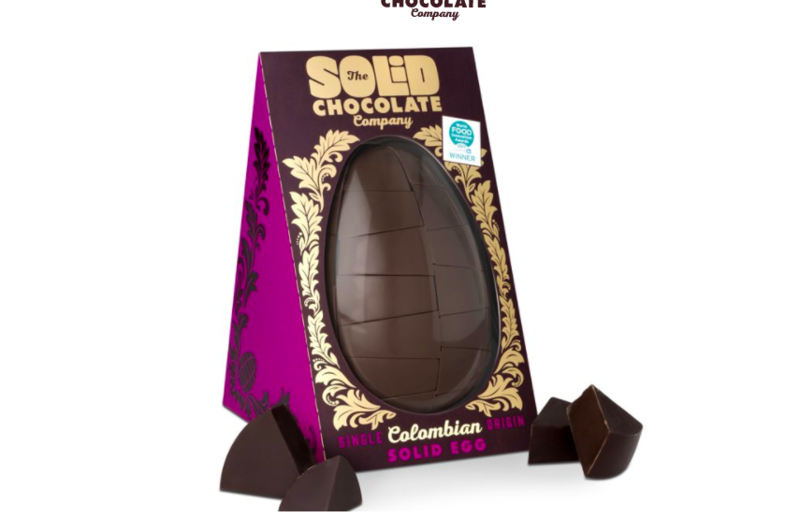 Part of the Tesco’s Finest range, the hollow egg is made from their best Belgian milk and dark chocolate which is blended alongside four booze-infused truffles. 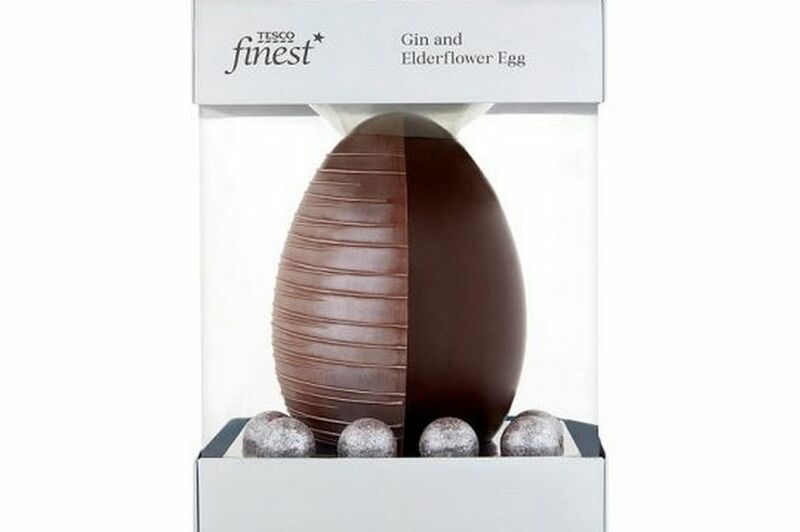 Available in your local Tesco store as well as online, it does cost £10 but that is only a small price to pay for luxury and an egg like none other. It appears we are spoilt for choice this Easter meaning it will be difficult to choose which egg to get. So why not get them all?